“Here On This Bridge: The –Ism Project” -Promo Trailer from Dmae Roberts on Vimeo. 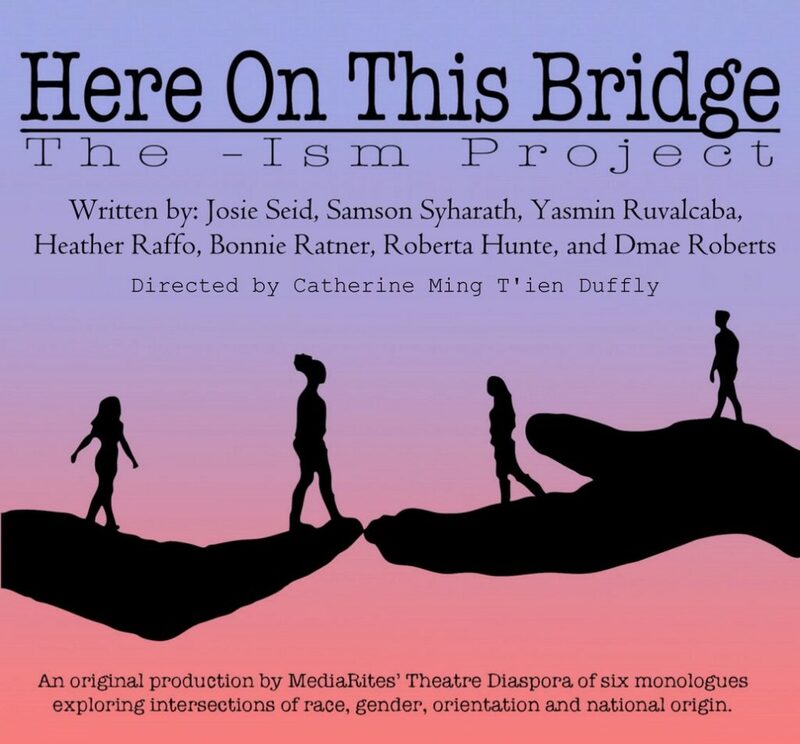 “Here On This Bridge: The—Ism Project” is an original new work including monologues by Josie Seid, Samson Syharath, Yasmin Ruvalcaba, Heather Raffo, Bonnie Ratner, Roberta Hunte and Dmae Roberts. 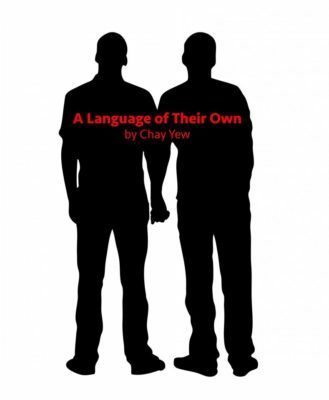 The show was directed by Catherine Ming T’ien Duffly and is composed of six short monologues exploring the intersections of race, gender, orientation and nationality, including stories with specifically Pacific Northwest perspectives. Monologues were developed in local workshops also curated from a national submission process. 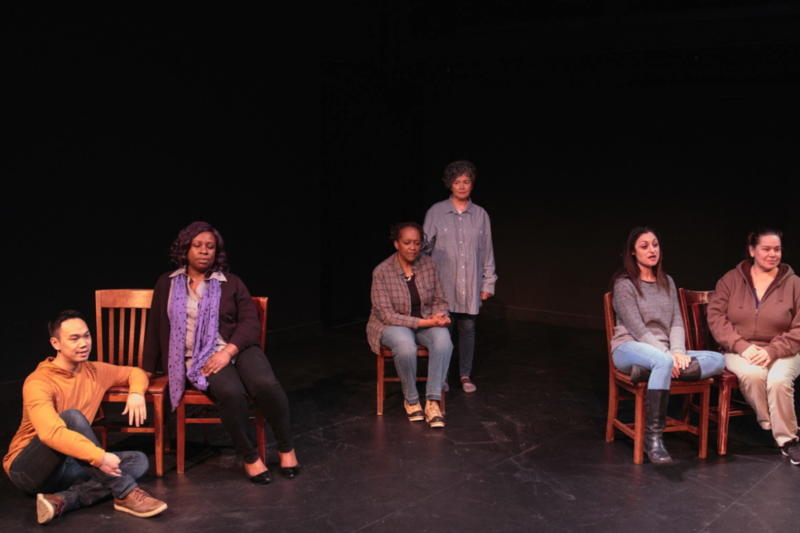 Actors are comprised of Theatre Diaspora ensemble members and actors of color who participated in a six-month series of workshops for development and training. “Being Me In The Current America” by Josie Seid. A Black middle-class woman experiences racial profiling in Oregon. “See Her Strength” by Samson Syharath. A gay Laotian man honors his refugee mother’s strength. “Carmelita” by Yasmin Ruvalcaba. A Latina recalls the harrowing story of her mother escaping hardship and violence to cross the Rio Grande River to America. “That Diversity Thing” by Bonnie Ratner & Roberta Hunte. A Black tradeswoman negotiates the complicated terrain of diversity training. “Harvest” by Dmae Roberts. 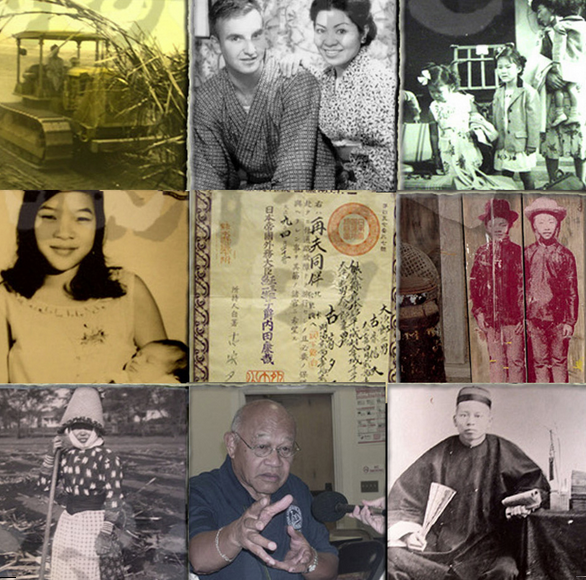 An Asian American reflects on tragic family history with Oregon’s exclusion laws. A space with a staging area that is separate from the audience area. Theatres are preferred but large community rooms can be possible. Separate dressing room, with easy access to the stage and appropriate furnishings. Easy access to a working bathroom that is only for the actors and crew. 1) To produce an original theatrical work that will eventually travel throughout the state. 2) To address the divide and the backlash against People of Color (PoC), women, LGBTQI people, immigrants and refugees that have become more visible and frequent since the 2016 presidential election. 3) To address the intersections of race with sexism, homophobia and xenophobia. 4) To create community dialogues which we value as well as the professional work we hope to create. 5) To provide continued opportunities for theatre artists of color with workshop and training as well as to perform in this new work. The –Ism Project to your community? Original New Work by Josie Seid, Samson Syharath, Yasmin Ruvalcaba, Heather Raffo, Bonnie Ratner, Roberta Hunte and Dmae Roberts. Directed by Catherine Ming T’ien Duffly. 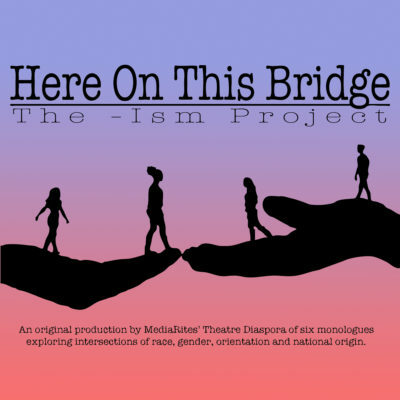 Here On This Bridge: The –Ism Project premiered at the Fertile Ground Festival at Portland State University’s Boiler Room Theatre, Lincoln Hall (1620 SW Park Avenue, Portland, OR 97201). There were eight performances in Portland at PSU in January and February, 2019. Performances are sliding scale donations which will make it possible to tour this production around Oregon. The show is suitable for audiences age 14+. 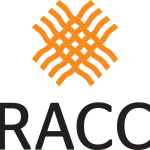 This original project is made possible with funding from The Regional Arts and Culture Council (RACC), Ronni Lacroute, and The Collins Foundation. PORTLAND, Ore., Nov. 21, 2018— MediaRites, a nonprofit organization that provides innovative, award-winning documentary, theatre and outreach programs, today announced its first full production and original work for its Theatre Diaspora program. 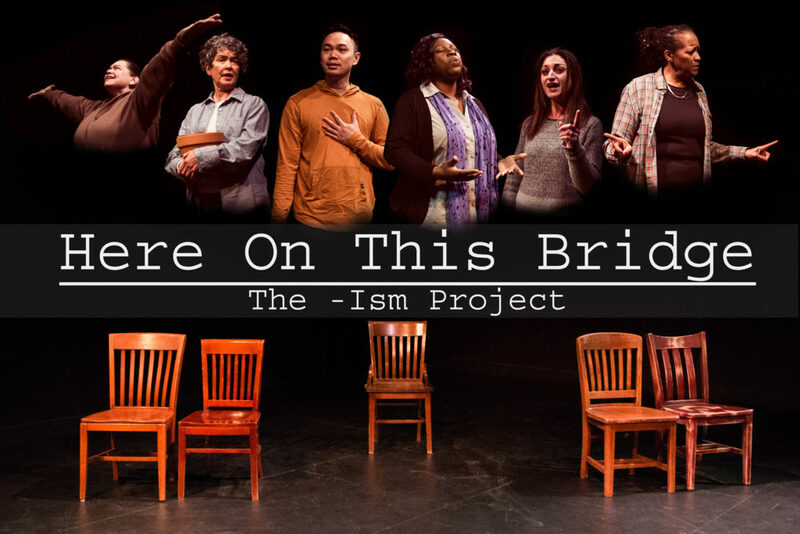 Here On This Bridge: The –Ism Project is a 70-minute full production comprised of six short monologues exploring the intersections of race, gender, orientation and national origin, with stories specifically from Pacific Northwest perspectives. The monologues were developed in local workshops curated from a national submission process. Directed by Catherine Ming T’ien Duffly, the show was comprised actors of color who participated in a six-month series of workshops to bring this production to life. All shows will include post-show discussions with audience members to bridge divides and create much-needed empathy, understanding and compassion. Here On This Bridge: The –Ism Project will premiere at the Fertile Ground Festival at Portland State University’s Boiler Room Theatre, Lincoln Hall (1620 SW Park Avenue, Portland, OR 97201). There will be eight performances in Portland at PSU for the following show dates: January 24-27 and February 7-10, 2019. Performances are sliding scale donations which will make it possible to tour this production around the Oregon. The show is suitable for audiences age 14+. This original project is made possible with funding from The Regional Arts and Culture Council (RACC), Ronni Lacroute, and The Collins Foundation. After the Portland performances, MediaRites plans to tour the show with community discussions and workshops in Beaverton, Hillsboro, McMinnville and Hood River from late February through April. More information about Here On This Bridge: The –Ism Project will be added in the near future, and will be found on the Theatre Diaspora website: www.theatrediaspora.org. 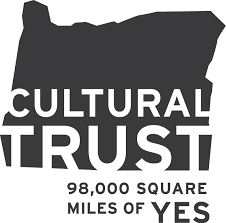 To help support this project and the Oregon tour, please make a tax-deductible donation via PayPal at: http://www.theatrediaspora.org/ or to http://mediarites.org. Any Oregon town wanting to host this project, please contact us at: theatrediaspora@gmail.com. 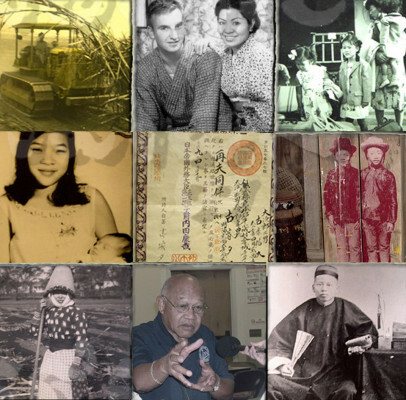 MediaRites’ Theatre Diaspora program is Oregon’s only professional Asian American/Pacific Islander (AAPI) theatre company, committed to portraying authentic AAPI cultural, historical, and social perspectives to reach broad audiences. 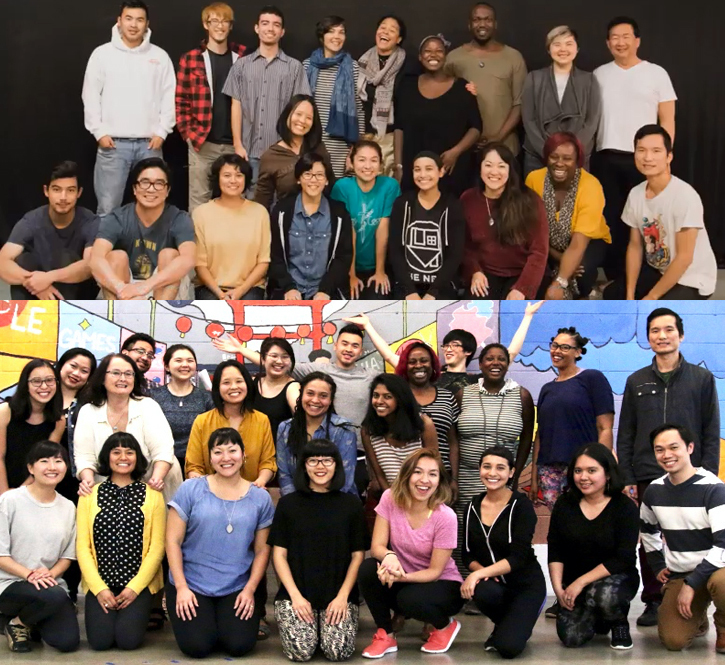 By strongly advocating through compelling performances and post-show discussions, Theatre Diaspora bridges communities to foster inclusion, social-awareness, and open conversations on race and cultural diversity – celebrating the AAPI experience. To learn more, visit the website: www.theatrediaspora.org. MediaRites provides innovative, award-winning documentary, theatre and outreach programs. Previous projects include the Peabody-winning Crossing East, the eight hour-documentary radio series; Mei Mei, the film version of the Peabody-winning radio documentary, The Breast Cancer Monologues, a radio and theater outreach project, Ellen McLaughlin’s Tongue of a Bird and the original stage play, The Time Between (part of The Grief Project); Coming Home: The Return of the Alutiiq Masks and In The Mix: Conversations with Artists Between Races. Our artistic documentaries have garnered two Peabody awards, several Asian American Journalists Awards, the Clarion, the Robert F. Kennedy Journalism award, and the Casey Medal. For more information, visit the MediaRites website: www.mediarites.org. “The—Ism Project” is an original hour-long new work by MediaRites’ Theatre Diaspora project composed of 6-7 short monologues exploring the intersections of race, gender, orientation and nationality, including stories with specifically Pacific Northwest perspectives. Monologues will be developed in local workshops also curated from a national submission process. The project will culminate in six performances including one staged reading, and will include post-show community dialogues with audience members in an effort to bridge divides and create much-needed empathy, understanding and compassion. 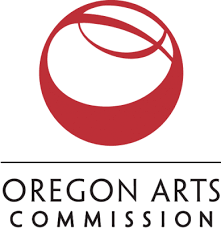 The long-term goal of this project is to tour small towns and rural communities across Oregon. “The—Ism Project” production will be directed by Catherine Ming Tien Duffly. Actors will be comprised of Theatre Diaspora ensemble members and other actors of color who participate in a six-month series of workshops for development and training. Why this project now? Three years ago MediaRites created Theatre Diaspora at a time when there was little Asian American Pacific Islander (AAPI) theatre being done. When it was being produced, often companies would either hire non-AAPI actors to portray Asians, several times in “yellowface” makeup. 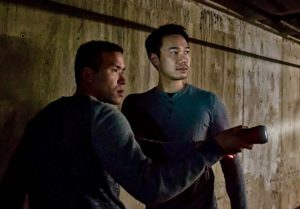 There was a great need for awareness about AAPI representation and stereotyping, as well as opportunities to create excellent work featuring AAPI artists for AAPI and PoC audiences. Based on data from our studious survey system for the last three years, the Theatre Diaspora audience we’ve been developing in Portland is majority PoC (average 55%) and younger (under 45) than most theatre audiences. Most of our target audiences do not generally attend theatre primarily because of a lack of representation on Portland stages. We soon began to realize that in order to grow and strengthen our theatre projects we needed to partner with community organizations and other PoC companies and artists. One program that arose from our strong partnerships is our New Opportunities PoC theatre workshops, designed to cultivate new PoC talent, and also to retain professional PoC theatre artists to stay in Portland. Our workshops were so successful that we envisioned a project idea that would address the divides we are currently experiencing, but also to build collaborations with more PoC artists. “The—Ism Project” snot only represents a new milestone for MediaRites’ Theatre Diaspora to produce a full production, it also creates a performing vehicle for PoC artists and a way to grow our diverse audiences. MediaRites has five goals: 1) To produce an original theatrical work that will eventually travel throughout the state. 2) To address the divide and the backlash against People of Color (PoC), women, LGBTQI people, immigrants and refugees that have become more visible and frequent since the 2016 presidential election. 3) To address the intersections of race with sexism, homophobia and xenophobia. 4) To create community dialogues which we value as well as the professional work we hope to create. 5) To provide continued opportunities for theatre artists of color with workshop and training as well as to perform in this new work. 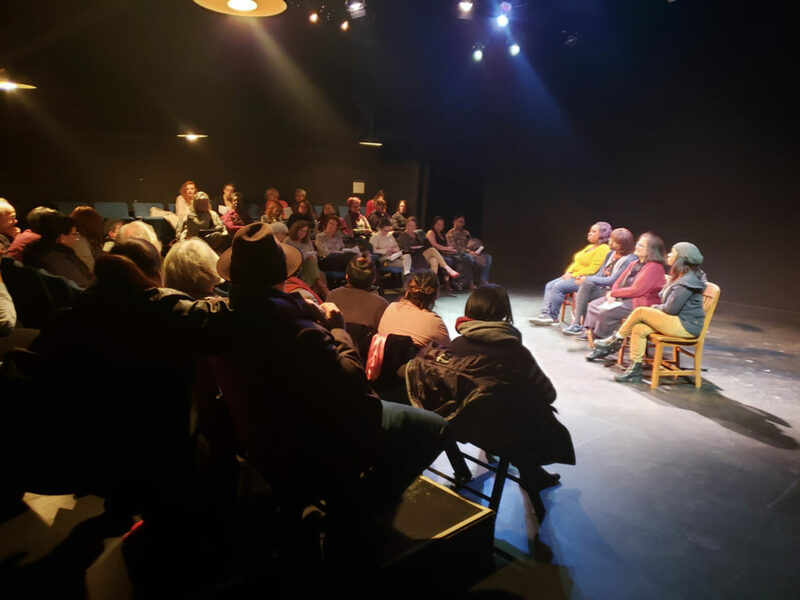 The project timeline began in the summer of 2018 with call for PoC playwrights’ submissions, community outreach, discussion with community leaders, and project development workshops. In the fall, production planning will begin and MediaRites will produce a work-in-progress show. In the winter, rehearsal will begin for the full production, with “The —Ism Project ” premiering in early 2019. After the premiere of “The—Ism Project” we will launch the touring phase of the project, another big milestone for the company. Jan. 20 & 21 at 2pm.